CooksRecipes has quality, kitchen-tested recipes for baking powder biscuits that you can count on for successful deliciousness. 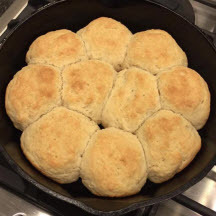 Buttermilk biscuits baked in an iron skillet are a Southern favorite. Hot from the oven, this quick bread makes a great accompaniment with just about any meal. 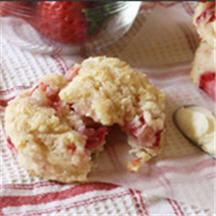 These extraordinary biscuits simply burst with flavor and are sure to become a family-favorite. 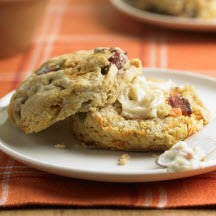 These biscuits are delicious served as is, but why not "gild the lily" and serve them with whipped cream cheese sweetened with strawberry jam for a perfect brunch offering?! !